The Lodi News-Sentinel is a daily newspaper based in Lodi, California. The community newspaper is the main source of information about the civic, social and business lives of people in Northern San Joaquin and Southern Sacramento Counties. The newspaper is printed five days per week, Tuesday to Saturday, and delivered to about 10,600 homes throughout Lodi, Galt, Woodbridge, Lockeford, Clements, Acampo and Thornton. An additional 8,000 readers follow the newspaper's publication online via the newspaper's website, Lodinews.com. Today, the newspaper employs approximately 85 employees. The Lodi News-Sentinel was established in 1881 by Ralph Ellis, a former sheriff, farmer and flour mill operator. 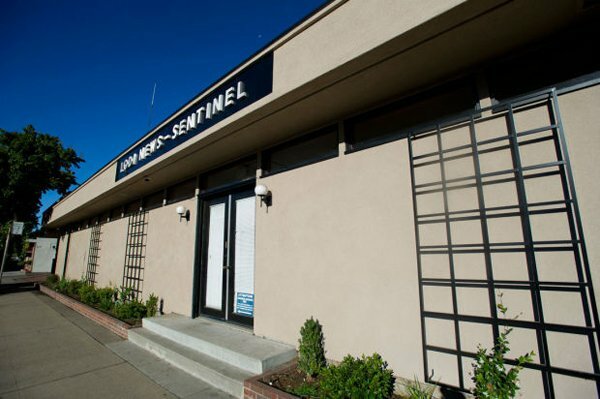 Throughout our history, the Lodi News-Sentinel has remained independent and locally owned. Ownership has changed over the years, from Ralph Ellis to Samuel B. Axtell to Fordyce P. Roper and George H. Moore, to Clyde C. Church, and finally to Fred E. Weybret. Fred Weybret served as publisher for many years. In 1998, Fred’s son, Marty Weybret, assumed the duties of publisher. The Weybret family announced on May 28, 2015, the sale of the Lodi News-Sentinel to a new corporation, Central Valley News-Sentinel Inc., led by veteran newspaper publisher Steven Malkowich. The new owners have newspaper assets in the United States and Canada, including several in California. The effective date of the sale was June 1, 2015. The newspaper has occupied many sites, moving eight times since its debut in 1881. The current site at 125 N. Church St. was formerly occupied by the Bethel Open Bible Church when Fred Weybret moved the newspaper in 1968. A $1.3 million remodel and expansion was completed in 1992. The exterior of the building was renovated in 2012.